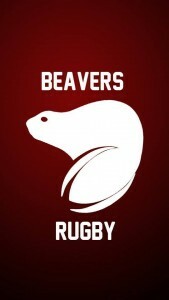 The Illegal Beavers Rugby Club (not just a sports team). This is a club you want to join. To this common position among 0Ls, I offer my humble opinion; since I, like you, am a natural born coward. Indeed, it took over a month before the Beavers finally swayed me to their ranks with promises of “networking opportunities” and “great CANS”. My concept of rugby at the time was dismal, and amounted to little more than a flurry of short shorts, broken bones and lost teeth. I will never forget going into contact for the first time. In my head, working up to this moment, I believed that the force of a tackle on the field would be akin to a hurricane making contact with a small house, or a dog with a child’s sandcastle. But you know what? That is not what happened. I was able to get up, and continue playing a game – the rules to which I barely knew. Now, if this anecdote doesn’t galvanize the lot of you into joining your nearest club and practicing up before September, then I have some additional things you ought to consider. First: Being on the team is good, clean, family fun. We do several nights out, road trips and miscellaneous events. And it’s a great way to connect with upper years (which connects you to them juicy CANS). Second: I would like to paint for you two word pictures, if I may. First, think of the archetypal rugby player. Those juicy quads. Those strong arms. The lean, mean, killing machine. Got him? Ok, now imagine the smartest people in your undergrad class. Those thick bifocals. That strong in-class participation. The lean, preen and overly keen. You know the type. Now, which one of the two would you expect to field a team that is entirely comprised of Law Students? Because that is your competition, and that is your team. Third: No experience required! In fact, hardly any of us have much experience. Except our Coach – who will show you the ropes. Fourth: If you are hell bent on avoiding contact altogether, I would still encourage you to come to practices. We practice twice per week at lunch for one hour. One practice will be oriented around drills, and will generally be non-contact. The other practice will involve purely fitness. That being said, Law school is very time consuming, and finding time for your health is difficult. 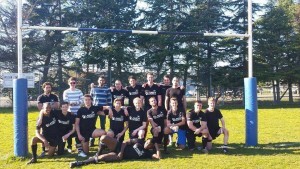 Rugby practice is a great way to stay in shape during the year. Fifth: Rugby is legitimately a great networking opportunity. Not just with upper years, but alumni as well. The importance of tricking an upper year into giving you their CANS cannot be understated. Trying to navigate law school without these CANS would be like trying to navigate the Pacific Ocean without a compass. And instead of water, the ocean is fire. And instead of sky, more fire. Sixth: Scholies & Alumni – I’m no scientist, but I’m pretty sure that the only reason anyone has been successful ever is because of connections. We have a great alumni network, and we have them to thank for establishing two $1,000 Scholarships for current Beavers. Also, we’ve got Beavers all over the globe for those of you who want to work in Toronto, New York, etc. Finally: This club is pretty low maintenance. We have 5 or 6 games throughout the whole year, and practice is optional (although highly encouraged). Joining the Beavers was one of the best decisions I made in 1L. We had great team bonding, great trips, and great fun on the field. I highly encourage everyone to at the very least check out one practice. See ya out there 0Ls! This entry was posted in Getting Involved at Allard School of Law. Bookmark the permalink.